The periodic table is a table of the chemical elements in which the elements are arranged by order of atomic number in such a way that the periodic properties (chemical periodicity) of the elements are made clear. The standard form of the table includes periods (usually horizontal in the periodic table) and groups (usually vertical). Elements in groups have some similar properties to each other. 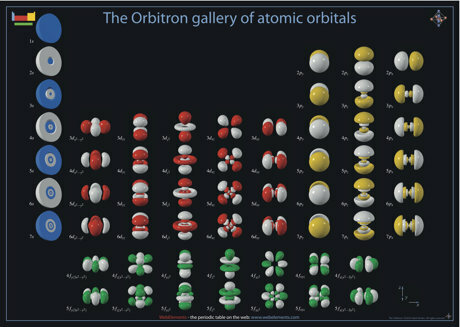 There is no one single or best structure for the periodic table but by whatever consensus there is, the form used here is very useful. The periodic table is a masterpiece of organised chemical information. The evolution of chemistry's periodic table into the current form is an astonishing achievement with major contributions from many famous chemists and other eminent scientists. On August 12th experiments involving zinc ions travelling at 10% of the speed of light colliding with a thin bismuth layer apparently produced a very heavy ion followed by a chain of six consecutive alpha decays identified as products of an isotope of element 113 278>Uut - see new evidence for elements 113.
element 114: Flerovium (Fl) after the physicist Georgiy Flerov. Georgiy N. Flerov (1913-1990) was a renowned physicist who discovered the spontaneous fission of uranium and was a pioneer in heavy-ion physics. element 116: Livermorium (Lv), after the Livermore laboratories. A group of researchers from the Laboratory, along with scientists at the Flerov Laboratory of Nuclear Reactions, participated in the work carried out in Dubna on the synthesis of superheavy elements, including element 116. 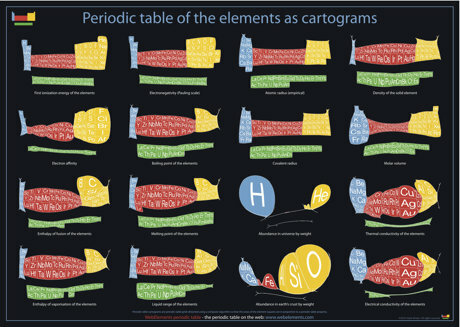 You can buy these periodic table posters online and others at our WebElements periodic table shop.